It is necessary to check whether the hard earned cash which you have spent on hiring SEO services is implementing effectively and giving you something in return or not. Here are the few guidelines which will help you check your website designed by SEO Company. This will let you know that any On-Page Optimization is done to your website. The reason behind writing this article is that many companies are unhappy because of the poor SEO Services implemented to their website. There are also some of the unethical SEO practices which some of the SEO companies implement. These practices are now banned and affect the website badly. For saving your money and time, it is necessary to check the ability and knowledge of the company. Keywords in the title tag should not be more than 70 characters. The keyword which is most important must be placed first within the title tag. Title tag comes under the head tag. The first code highlighted is the line where title tag is on. Every web page should have different title. 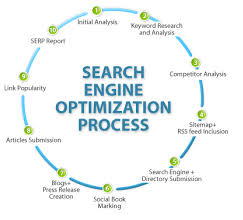 Therefore, you have to look for each of the web page so as to notice that if optimization has been done for every webpage or not. Repetition of keywords in title tag or URL of website should not be there. Page content on every page must have relevant information. In other words, the content must be of high quality which can be easily understandable to the user. It should not be too short as description but it should not also be too lengthy. Look at the content on each page and keywords within the title tags and description tags. Check whether they all are relevant to your content or not. Your keywords must not be placed millions of times in your content as it is spamming and affects the page rank badly. The content of the web page should generally be about 300 words for all the web pages. The content of each page must be of good quality and relevant. Check that your site has relevant links to other pages of the site. This is called as internal linking. The description must not be more than 160 characters. The first code highlighted is the line where description tag is on. Description must be clear and eye catching as it is the first line which is seen by the user. Include most important keywords for that particular page. No irrelevant back links to your website. Previous story Have You Reached The Limits of “Romanticity”?